The Greater Hudson Valley Family Health Center hosted an HIV/AIDS Awareness day on Thursday, June 24, 2010 in Newburgh, NY. 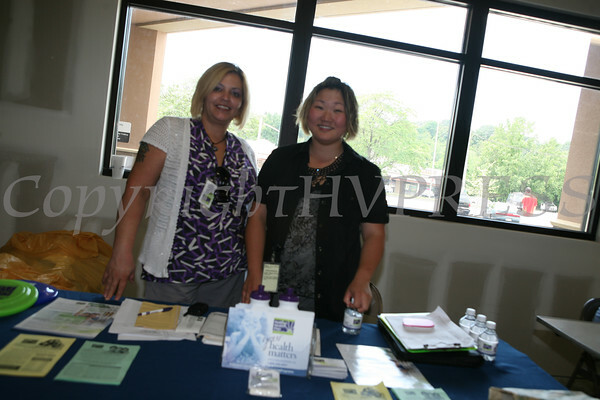 Marisol Guzman and Lisa Bilyou of Hudson Health Plan, distribute information during the HIV/AIDS Awareness Day at the Greater Hudson Valley Family Health Center on Thursday, June 24, 2010 in Newburgh, NY. Hudson Valley Press/CHUCK STEWART, JR.